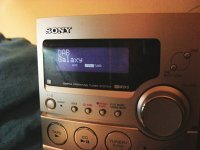 Commercial radio companies Global Radio and GCap have announced staff cuts impacting on radio stations across the country. If approved by regulators, Global Radio will take over GCap to form the UK’s largest commercial radio group. The level of cuts in the group does not augur well for the future. The Guardian’s Organ Grinder pretty much reflects my view on the subject. A twenty word summary by Digitagit, in a comment to the Guardian piece, gets right to the point. Do they not understand that music radio is now much more about what’s in between the music? If stations just play music, the audience will go elsewhere, either to other stations that invest in production, or to their own playlists using a myriad of digital devices.